If you have worked hard all your life, and always paid your bills, the decision to file for bankruptcy can be a difficult one. Filing bankruptcy in Mesa, Arizona cannot only be stressful, it can be intimidating and embarrassing. It is the hope of our Mesa bankruptcy lawyers, Mesa debt relief experts, and Mesa Bankruptcy Attorneys that we can bring you some measure of comfort knowing that we have debt relief answers to your financial questions. Our Mesa based bankruptcy law firm has resources available to help you, and trained professionals willing to give you the time and attention that you deserve when considering filing for bankruptcy in Mesa, AZ. The low cost Mesa Bankruptcy Law Office of My AZ Lawyers is your debt relief agency located at 1731 West Baseline Rd, in Mesa, Arizona. In particular, our trusted bankruptcy attorneys are here to help people file for bankruptcy relief under the bankruptcy code. We are a team of experienced bankruptcy lawyers who are always ready to give legal assistance at reasonable rates to people in Mesa and Maricopa County, Arizona. Free Consultations Either in office or by phone — Your Choice! FILE NOW!… Pay Later!! Bankruptcy Option, CALL for Details. We also offer free bankruptcy consultations in one of our Mesa, Arizona area offices and initial evaluations by telephone with one of our experienced bankruptcy lawyers. Serving the surrounding communities of Tempe, Chandler, Gilbert, and Scottsdale. By all means, call us today and set up your free consultation. 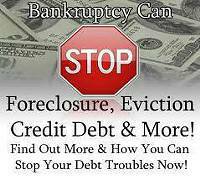 Maybe you are facing a foreclosure, a repossession, major medical debt,or have incurred insurmountable credit card debt. Our Mesa bankruptcy lawyers can go over these issues with you locally here in Mesa and let you know whether bankruptcy is a good option for you. Remember, bankruptcy is only one option, and an experienced bankruptcy attorney can develop comprehensive and creative solutions to your debt problems. In addition, bankruptcy is our business, let our attorneys from My AZ Lawyers use our years of experience and know how to work for you and to get you the debt relief that you are seeking. For those filing for bankruptcy, the law requires that everyone get credit counseling and take a financial management course. Our Toledo attorneys can steer you in the right direction to find these courses. Additionally, our Mesa Bankruptcy Lawyers offer free initial consultations and case evaluations; either in one of our local offices or by telephone. 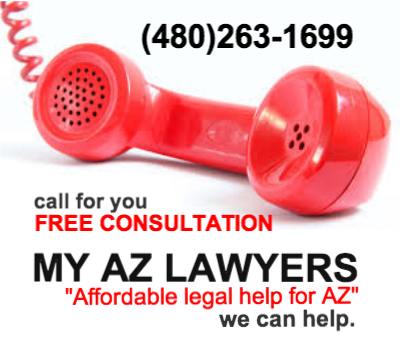 We also have some of the most affordable legal rates in Mesa, Arizona and all of Maricopa County. Plus, we offer payment plans, night and weekend appointments, and a no hassle, no pressure, no obligation, FREE, consultation. Either over the phone or in one of our Mesa bankruptcy law offices. Lastly, contact our Mesa Bankruptcy Law Office at (480) 448-9800 to set up a bankruptcy appointment today. Our bankruptcy law office is conveniently located at the corner of Baseline Rd. and Pennington Street in Mesa, Arizona, 85202. We are in Suite #101 right behind the Chase Bank on the corner of Baseline and Pennington in Mesa. Bankruptcy is our business. We look forward to hearing from you.